The way we experience the world has everything to do with the way our minds work. Mercury symbolizes the mind, and how our thoughts interact with all that is. For thousands of years he has been considered the Messenger of the Gods, where messages from a higher level of awareness are brought down to be shared with mere mortals. 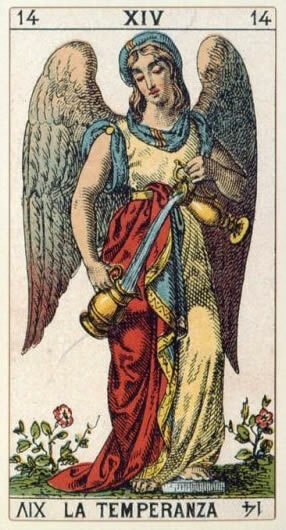 Mercury represents a mediator between heaven and earth. This is also symbolic of thoughts becoming spoken or written words for the purpose of being exchanged with others to affect the world around us. Thoughts are things. Mercury, ruling communications, speaks to our interactions - from one on one conversations, to text messages, talking on the phone and online social networking. He also represents the thoughts in our own minds. This week Mercury is a star player in the sky, actively engaging with other planets. Mercury in Aries and Saturn in Sagittarius connect in harmony on Tuesday. Saturn is retrograde as mentioned in last week's horoscope. This is a great time to question your beliefs, so you know where you stand regarding your philosophy on life. Our minds want new, fresh ideas to consider now. Spring inspires new ideas. Curiosity and an interest in learning with a desire to become smarter and wiser is on the rise. This is a week where realizing personal identity heightened. We learn much about ourselves through real-world experiences. Thinking more about who you are, and how you demonstrate the truth of who you are in the world is up for consideration. This time asks if you are doing the internal, behind the scenes work necessary to manifest the things you aspire to achieve in the world that bring meaning to your life. Entrepreneurs are likely to find this week helpful in contemplating how a broader vision and responsible choices can be utilized towards new ventures. Mercury is a fast mover and it’s recommended that you keep a journal of your thoughts and ideas this week. Ideas and inspirations can arise quickly and disappear just as fast, as new thoughts take their place. Writing down your thoughts before you forget them is a good practice now. The act of writing itself also has a way of bringing thoughts and ideas forward that you may not think of otherwise. Writing has long been considered a magical process. The power of concentration is heightened with the Mercury-Saturn connection now, which is great for reading and studying. Personal reflection about life purpose this week can help you make more responsible choices to reach towards the vision you have for your life. Mercury in Aries and Pluto in Capricorn are at odds on Wednesday. This can change our focus towards thinking more critically about how the ways of the world are not aligned with who we identify ourselves to be. This debate can show up in the workplace, in business and in politics. Wherever you see a hierarchy of power, it can have you question how your personal ideals differ from the established rules. This relates to media, propaganda and how stories and headlines are slanted to create an intentional, false impression as well. Awareness of how you think differently and may not fit into the larger systems of society can strengthen your own personal identity. Mercury wants the truth, and is willing to dig for it and look beneath the underbelly to see what’s really going on. Mercury likes to figure things out. This can be great for business when you don’t know what’s causing things to not work as you wish. A deeper look at the reality of your systems and processes in place can help you transform your approach. Auditors that enjoy their position of power are likely to enjoy their role more than usual this week in telling businesses what they’re doing wrong. It can be frustrating to look at reality sometimes, but ultimately the necessary changes revealed can lead to new ideas and improvements. If you are in conflict with an authority figure or boss, it’s possible that the urge to quit can arise as you seek your own identity. Quick thinking and trusting your first instincts are emphasized this week, so do be careful to not make rash decisions. Utilize the more responsible energy Saturn offers this week to make smarter decisions and long term plans. Knowing who you are as an individual is further strengthened when Mercury meets Uranus in Aries on Thursday. When these two meet synchronicity is heightened significantly. Repeating numbers are likely to show up out of nowhere at just the right time to give you that message or reminder you need. When coincidences show up you can’t help but ask what it may mean for you. Whatever shows up for you as an odd coincidence, pay attention. It can lead you toward better self-understanding. There is a strong need for individualism this week, to know yourself as a unique person with your own thoughts and ideas. Mercury meeting up with Pluto and then Uranus this week brings renewed emphasis to the Pluto-Uranus square that has been playing out for years. This further indicates a power struggle, where big business, financial and political power are at odds with individual needs. The conflict between personal freedom and rules enforced by societies power players is up for debate. The Sun in Aries, brings with it a sense of renewal and hopefulness for new beginnings helping us to see the bright side of life. Where we know we need more of our own personal power, we can be motivated to find it now. 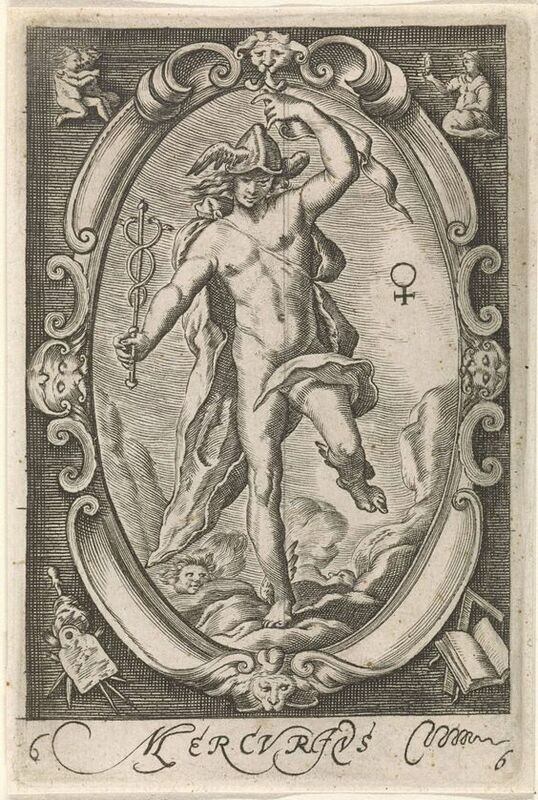 Mercury can now be seen in the mornings before dawn, symbolizing how our thoughts are at the helm, helping us to navigate our lives with more focus, attention and precision. A more direct, decisive, smart approach with a dose of strategy and a touch of enthusiasm helps lead the way. Better thoughts will help us know ourselves and the truth of who we are better. It’s a great week to develop better self esteem. Aries: So much cosmic support is in your sign this week. It’s your birthday month and the focus is on you. A renewed sense of personal identity continues to strengthen this week. As you question rules and authority and seek greater personal freedom you develop greater clarity of who you are. It looks like you need a change in your career in one way or another. Whether you want to become more independent and start your own business or find a new career path, the need for change can not be denied. Wherever you feel held back from happiness, asserting your personal power can renew faith in the vision you have for your life. Taurus: A lot of contemplation about your life and the karma you’ve created for yourself is in focus this week. You may need more sleep, and vivid dreams with important messages can help you figure yourself out. Reaching out to friends, especially those with a higher perspective on life is recommended. Daydreams can bring you insights on how to remove obstacles that are in the way of your happiness. It’s a good time to explore options to improve your way of thinking. Therapies that tap into the subconscious can ignite wisdom. Socializing can also lift your spirits. Hanging out by water and in natural, beautiful surroundings is recommended. Gemini: Your social sphere of life is lit up. It’s a great time to enjoy group activities that are spring oriented. The renewal of energy in your life and seeing more people can enliven you with freshness. Speaking with those that have a good sense of their own identity can help you make sense of your relationships. Discussing some of your relationships issues can help you make more responsible choices in your actions, in turn improving your relationship dynamics. It’s not a great time to make a spontaneous decision in terms of debt, loans and borrowed money. Make sure you look at all the details before you sign over anything to an authority figure. Cancer: A renewed sense of responsible day to day activities can help your career. Learning about how to run your day more efficiently will provide you with a sense of power and can help your days feel easier. Take a stronger, closer look at what hasn’t been working and you can more easily figure out how to overcome your obstacles. Later in the week, make a conscious effort to build good relationship with authority figures, bosses and those relating to your career. You may need to deal with someone that doesn’t jive well with you. If you feel there is a conflict of interest between you and another, take a breather to calm emotions before you say anything. Leo: The desire to get away and explore new ideas and experiences is on the rise. Life needs to be enjoyed. Creative impulses are suggested for Leos now. If you feel like you’re holding back or are limiting yourself, exposure to new cultures can inspire your creative flair. If you wish to travel you could find it difficult to find the time now. Your work schedule would need strategic adjustment to give you more freedom. If you can’t physically get away now, at least give yourself a chance to dream about making plans. Thinking about your goals can prompt you to change your lifestyle and habits so you can enjoy more of what life has to offer. Virgo: This is a good week to put money down on your debt. You want your life to expand and flourish and reducing debt helps. Making a plan for your personal freedom can be made when you take a serious look at what needs to be done to get you to that place of comfort you desire. It is likely that you have a lot of creative inspiration these days but it’s not the best time to be spending a lot of money on the tools and supplies needed to make your creations come to life. 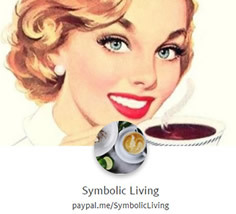 Finding ways to be creative that doesn’t put you in credit card debt is recommended. You are asked to transform the way you think about your creative process. Ultimately what you are creating is your life, and growing in who you understand yourself to be. Libra: Your romantic, platonic and business relationships benefit from more responsible discussions that matter this week. An enthusiasm and determination in your voice can inspire and enliven those you connect with. Giving others their personal space and freedom is valued now. Difficult discussions at home can reveal necessary changes in roles. It is when you’re out and about feeling free that you can meet the most interesting people. Those with unique personality traits and characteristics can inspire new ideas. People with a bright demeanor, a strong sense of self and a fortunate outlook can bring you a sense of renewal and inspiration. Scorpio: Your financial responsibilities can benefit greatly from a new routine and fresh thinking. You could find new work or develop new ideas for your work that can help you find practical financial solutions. A desire to do work that matters helps to energize you toward increasing your wealth. Smart lifestyle choices can seemingly arise out of nowhere. When inspiration hits the coincidences and synchronicities can’t be denied. It’s not the best time to divulge secrets to superiors. If your ideas on how to make improvements is shot down by a boss or authority figure, you can still use your smart ideas doing your own thing for your own personal benefit. Sagittarius: This is a great week for you to feel more in tune with a stronger, assertive sense of self. Creative inspiration wants to be expressed. Ideas can show up suddenly and give you a real boost of confidence and self assurance. Motivation to strengthen your identity and make more responsible choices works to your advantage. Do be careful when dealing with authority figures that write your paycheck. It’s not the best time to be make statements that shock or surprise people. When you’re expressing your natural talent for wit, humor and charm, be sure your quick words are measured with a sense of responsibility and respect. Capricorn: Dreams that have a karmic feel to them are likely to arise for you, and can relate to where you once lived. Ancestors and family members that are now distant could show up in memories and dreams with a message for you. Cutting back on caffeine in the evenings is recommended to help prevent bouts of insomnia. The need to make changes at home and with family and those close is emphasized now. Finding your personal freedom from those that may be too close for comfort can have you sleeping at odd hours as a way to escape. Though it may be on your mind, spontaneous decisions about moving your residence are not recommended now. Aquarius: So much is happening in your communications sector and it is highlighted further by the ruler of communications, Mercury. Real, down to earth conversations with friends can help you see new, hopeful perspectives. Those that are enthusiastic about their aspirations and have a strong philosophy on life are great to converse with now to inspire new ideas in you. It’s a good time to write and talk from a spontaneous place. Your dreams are likely to be difficult to remember; make the extra effort to write them down if you find they have important messages for you. Pisces: Smart ideas are likely show up for you out of the blue. Write them down. There can be so many ideas that arrive in a short period of time that you forget some of the great ones. Ideas that are particularly focused on making money and career matters are worth exploring further. Entrepreneurial, career oriented ideas can give you fuel. Smart goal planning with a focus on the details helps inspire you to action. Self-love and self-worth continue to be important areas of learning for you now. Do be careful if someone is trying to influence your money situation. It’s not a good idea to be involved in financial power games in social situations now.